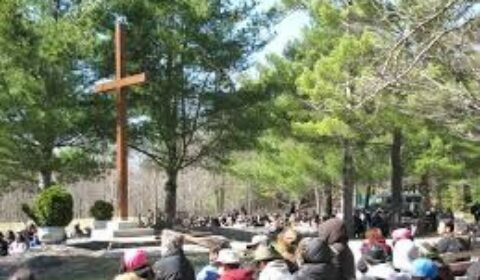 GRAVENHURST — A Catholic summer camp in northeast Gravenhurst has been hit with hefty fire code fines. A complaint against the Catholic camp involving fire code violations led to some work being done but not enough to satisfy a Gravenhurst fire inspector. Camp Teopoli, in Ryde, has been ordered to pay $27,000 — plus costs — for not completing all of the required changes a Gravenhurst Fire Department inspector called for. According to a Town of Gravenhurst news release Wednesday, the Toronto faith-based organization that operates the social camp in Muskoka is the latest entity to face stiff penalties as a result of Fire Code infractions in Gravenhurst. Court heard that following an investigation by fire department, which occurred between August and October of last year, the camp operators were ordered to make some changes. And while they did complete some required work, not all of it was done and so charges were laid. “In July, last year, the Town’s Building and Fire Departments received a referral of a complaint from the Electrical Safety Authority about possible building and fire code violations at Camp Teopoli located on Housey’s Rapids Road in Gravenhurst,” Fire Chief Larry Brassard said in the release. “As a result, both departments worked closely together over the span of several months to inspect a number of buildings on the property, and ultimately the Fire Department issued a series of inspection orders to address violations of the Ontario Fire Code that were unearthed,” he added. “As is standard practice, several months were allocated for the work to be completed, however when the fire department discovered that various elements of the orders had not been acted upon, charges were initiated. Our inspector made repeated follow up inquiries and noted that the operators of the camp had indeed completed and corrected several of the deficiencies that had been noted, while others had not been addressed at all,” said the chief. “Even today, elements of the original inspection orders have not been adequately addressed. In the wake of these fines, our inspectors will be re-visiting the premises and conducting follow-up inspections,” said Brassard. Further charges are possible if required work is not complete, says the fire chief. He said the possibility of additional charges being laid against the owners of the property have not been ruled out. “This is a perfect example of how town staff are making sure that the residents and visitors of Gravenhurst are safe in the buildings that they enter. Fire and Building departments working closely together to ensure this happens is the key to this success,” said Andy Jones, chief building official. Brassard suggested that the courts have acknowledged the seriousness of Fire Code enforcement issues in recent years and points to a growing number of substantial fines in recent months as an indicator. Jail sentences for owners of properties cited for violation are now becoming more common-place in some circumstances as the legislation identifies the owners of the property as being ultimately responsible for the safety of their buildings.